MyChart provides an intuitive, secure, web-based method for patients to access portions of their medical records through our secure web site. 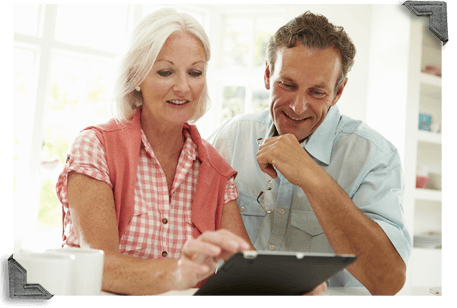 The MyChart patient portal gives you free access to your most up-to-date health information and offers secure communications between you and your health care provider. MyChart patient portal helps you take an active role in your health care, right from your computer or smartphone. To access the MyChart patient portal from your smartphone, just download the app! Click below for help setting up a MyChart patient portal on your phone. Some of our partners in the Project Infocare Network also offer patient portals. For your convenience we have links to local healthcare provider’s patient portals. Click below to log in and view your health record and communicate with your provider and their staff. What is the MyChart patient portal? The MyChart patient portal is a secure, convenient place to view your personal health information and communicate with your health care team. On the MyChart patient portal, you can view lab and test results, visit history, medications, reports, and messages from your health care provider. Complete this MyChart Patient Portal account request form to set up an account. Once the our Health Information Management staff has veriried your information, you will receive a welcome email with information on how to log in for the first time. All you need is a computer or smartphone with access to the internet. Simply open the app or log in to the website and you will find your personal health information conveniently organized and available to you. If you forget your password, resetting it is both secure and convenient. Just click on "Forgot Password?" under the password field and the on screen instructions will direct you in the process. All of your personal health information on the MyChart patient portal comes directly from your electronic health record at Citizens Memorial. This helps us provide the most accurate, up-to-date information for your health care. Is there a fee to use it? It's free! We don't think you should have to pay for your personal health information or communicate with your provider. You can grant proxy access to family members by completing this form and returning it to the CMH Health Information Management (HIM) department. By granting proxy access, you are voluntarily allowing them complete access to the contents of your MyChart record which may include problem list, allergies, medications, lab and radiology results, and other clinical documentation. Proxy access will remain in effect until revoked in writing and submitted to our HIM department. Who do I contact if I find errors in my health record? If you find errors in your personal health information on MyChart patient portal, please contact your physician's office, and they will consult with you to resolve the error. It is a priority of ours to maintain an accurate record of your health care. After logging in, click on "Contact Technical Support" to send a message to our technical support team. They will resolve your problem as quickly as possible. Can I submit my own information to the patient portal? If you would like to submit information to the patient portal, you can send a secure message to your provider through the portal. Can I access my child's health records from my account? In accordance with Missouri law, all requests for proxy access to minors between the ages of 13 and 18 will automatically be denied. Minors between the age of 13 and 18 can grant their parents proxy access to their health record, by competing this form. For children under the age of 13, contact our Health Information Management department at 417-328-6534 to gain proxy access to your child’s health record. Existing proxy access will automatically be revoked on their 13th birthday. Patients may revoke proxy access at any time. Can I request an appointment through the patient portal? Yes! After logging into the MyChart patient portal, select "Appointments." Then select, "Request Appointment" and follow the prompts. Click here to view instructions to schedule a video visit. Terms & Conditions can be accessed while logged in to the MyChart Patient Portal. From the Home page, use the Terms & Conditions link at the bottom of the page.